On 20 December 2013, the UN General Assembly had its 68th session at which it signed the Convention on International Trade in Endangered Species of Wild Fauna and Flora (CITES) and proclaimed the 3 March as World Wildlife Day to celebrate and raise awareness for the world’s wild flora and fauna. World Wildlife Day 2016 was celebrated at the UN Headquarters in New York on 3 March. Once again, the world was reminded of how precious our natural heritage is. Despite global awareness, poaching is still a significant risk factor for many endangered species that are subject to the lucrative trade of illegal wildlife products. 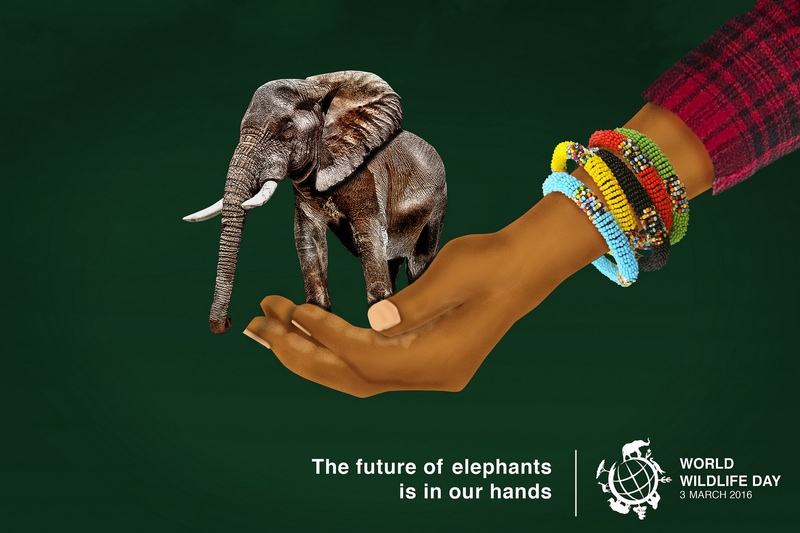 Statistics from 2012 indicated that around 100,000 elephants were killed for ivory over a two-year period, according to the Secretariat of the CITES. Animal protection has long been on the agenda of the United Nations, with conventions such as CITES at the forefront of wildlife conservation. The target to end poaching was included in the Sustainable Development Goals (SDGs) along with the unanimously adopted resolution in July 2015 by the UN General Assembly, which addressed the steady rise in wildlife poaching. The resolution called on member States to make illicit trafficking of animal products a serious crime in their domestic legislation, and to strengthen enforcement and criminal justice responses to the trade. This reflects the global consensus that the ambit of protection is only part of the problem. It is also essential for the international community to set goals, use international treaties (such as CITES) and target the demand and supply of the illegal trafficking business. Unlike natural disasters such as El Niño, wildlife poaching is a direct result of human actions and can also be combatted in this way, with human intervention. The Secretary-General for CITES, John E. Scanlon, recognised the efforts of nations who are ‘beginning to turn the tide on wildlife trafficking’, with success very much dependant upon individuals to participate in the protection of their native species. Executive Director of UN Environmental Programme (UNEP), Achim Steiner, said that biodiversity is at risk from poaching and illegal wildlife trading practices and that this in turn will have an impact on the planet’s life support systems. He recognises World Wildlife Day as a chance to make the population “more informed and more involved in stopping this crime against nature, communities and future generations”.